Liked the fact that you could add baked salmon to the kalia. Or else frying the fish and putting in the kalia is not always a healthy option. Sandeepa - You should blog sometime with some quick and easy lunch ideas for weekedays / for work. Till now I only had smoked salmon! The dish is new and interesting. Glamorised kalia! But the baked version sounds healthier than the deep frying of the fish that we usually do. Interesting, that, to add baked fish! 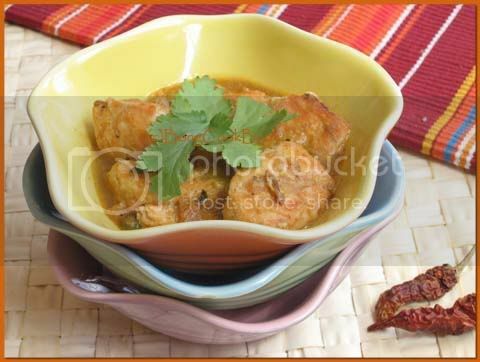 This Kalia dish looks delicious Sandeepa. I have started using less and less of salmon becuase other white fish don't smell that much, where before this was the only fish I ever cooked. When I make a wet fish preparation rarely if ever fry or bake the fish, whereas most Bengali wet dishes have fried fish, correct? This looks great! I never would have thought to bake the fish. I've always just lightly pan-fried the fish before adding it to the jhol. I love the taste of salmon. Very popular (esp smoked) in England - so i have made Indian curries with this but never like this! Good that SJ got you thinking. Madam got away with no cooking when I visited her last month (she did make a mango cheesecake - will ask her to post!). Looks like salmon will be on the menu this weekend! Take care and thanks for the wonderful posts! Sandeepa, looks lovely! I still haven't tried the recipe you sent me :-( My cooking has been very basic lately fir no reason other than lack of enthu to cook. Thanks for posting this along wth the yummy photos - very tempting to get some salmon soon. Good that ur DD started liking salmon. mine 2 eats the Tilapia & catfish pretty happy, but kinda ok with salmon. Why add the sugar on the fish? for the color? I must confess that i am a big fan of smoke salmon and am not too enthused by cooked salmon. That's because restaurants at Mumbai cheat you by serving rawas and saying that it is Norwegian salmon!!! Hope u doing good.Shifted to a new house last weekend..was running too busy..My hubby asked me to prepare something yummy (Married to Punju)as we were eating out a lot.Today I am gonna prepare payesh "ur style".. 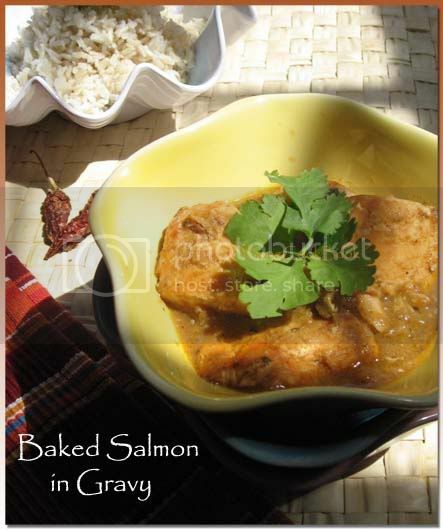 Baked Salmon er kalia looks great n yummy...Do you think I can prepare the same dish with Tilapia? Actually I am not too fond of salmon, I find it lil strong. Well, you know if big S has given the stamp of approval, this needs to make a regular appearance on the table. Hi Sandeepa, can you email me your email addy at mainyacha@gmail.com? I need to ask you a favour. may I know who you are ? Salmon - one of the yummiest fish in the world...love this version, so kool. 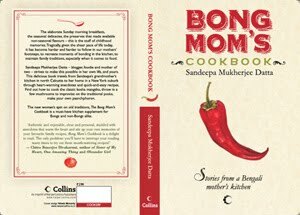 Being a non-bong - I'd love to hear your review comments. Wonderful blog and beautiful pictures too - Keep blogging!